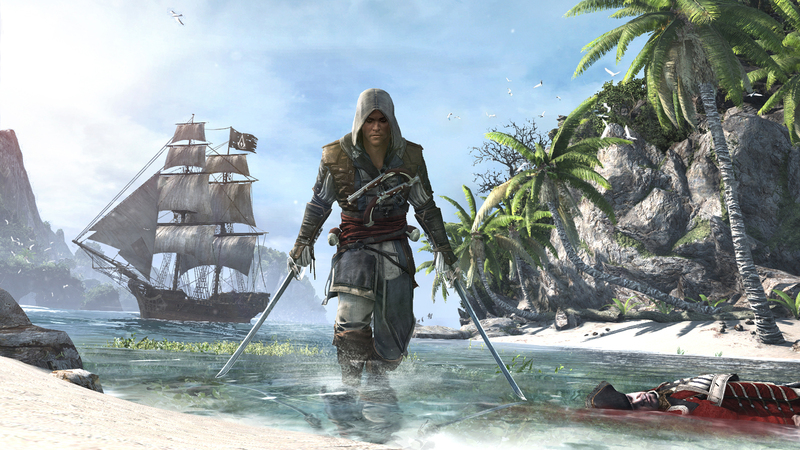 This year Ubisoft wowed fans with another installment in the Assassin’s Creed series – Assassin’s Creed IV: Black Flag. I feel this game is deserving of the award for Best Game Design due to its expansive world and innovative game design. This game hosts and open world environment which is not only a first for the Assassin’s Creed series but also a marvel for Ubisoft as a developer. Few games released this year have feature game world dynamics such as these and none of those have been as large as the world in Black Flag. The world is huge and features little to know load screens or loading in general. You can fast travel or hop aboard your ship and sail out while following the main narrative or creating your own adventures. I found the overall pirate theme to have been done extremely well and everything in this game seems to just fit. Jumping aboard your pirate ship, The Jackdaw, and sailing around the open seas while plundering, engaging in naval battles and whaling are features that are seamless in the game design. It becomes less of a linear experience and has more of an open-world RPG feeling, which really broadens the overall gameplay experience. Those reasons are why I chose Assassin’s Creed IV: Black Flag as the winner of the Best Game Design award.